Wild Game Banquets by Sportsmen's OutreachEach year Glenn speaks at 20 wild game banquets. These banquets are a great way to reach people. 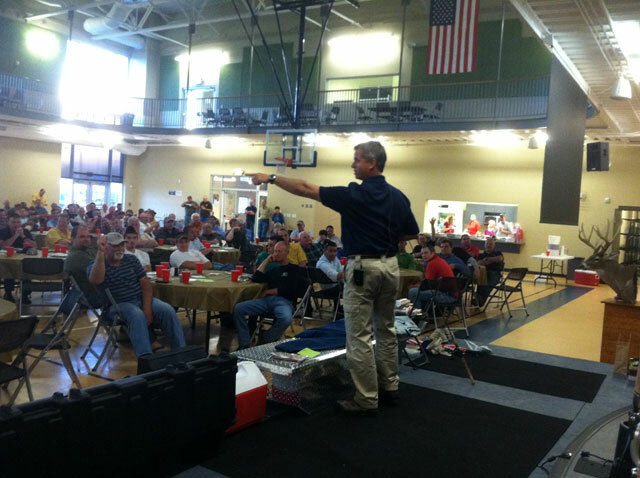 Glenn does a fishing or hunting seminar at most banquets. This is a great way to learn some of the latest techniques and see some of the products that the pro's use. The meal consists of buffalo, alligator, elk, venison, fish and other items. You can order any kind of meat from a local vendor like Sysco. After the meal Glenn shares some of his outdoor experiences along with his personal testimony of faith in Christ. Most churches have door prizes at the conclusion of the program.